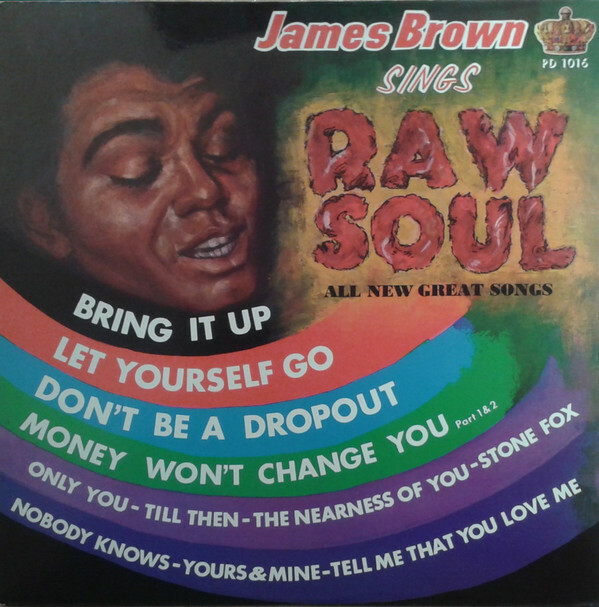 Raw soul, indeed – a term that could have been coined for James Brown's vocal approach, and which probably makes one of its first appearances here on a record! The album's kind of a grab bag of earlier sides that James recorded for King, but it's a perfect showcase for his amazing sound in any setting – as it brings together funky bits with more straightforward soul numbers. 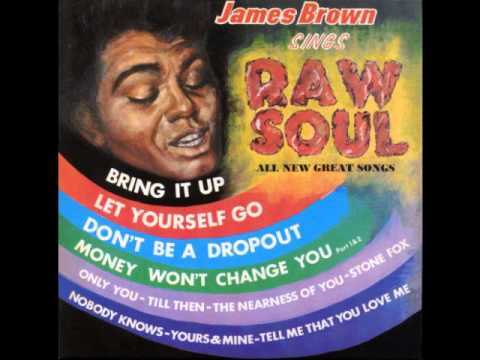 Tracks include the great funky numbers "Money Won't Change You" and "Bring It Up", both of which show the new hard sound of James coming to the forefront – plus the tracks "Stone Fox", "Tell Me That You Love Me", "Money Won't Change You (parts 1 & 2)', "Let Yourself Go", and the hip message cut "Don't Be A Drop Out"